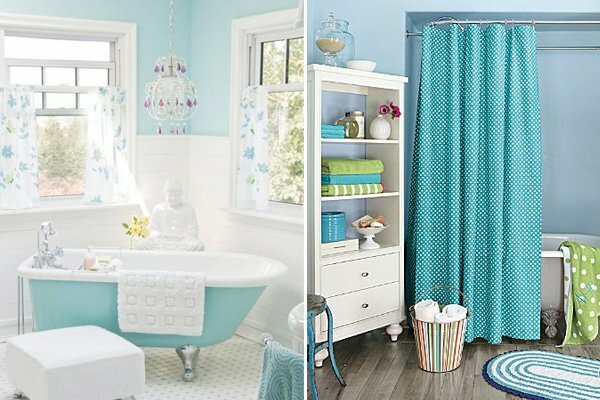 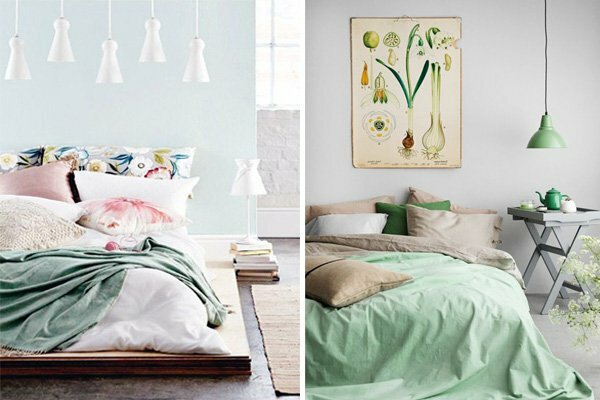 Just as in the world of fashion, the world of decoration also witnesses new trends and approaches every year. 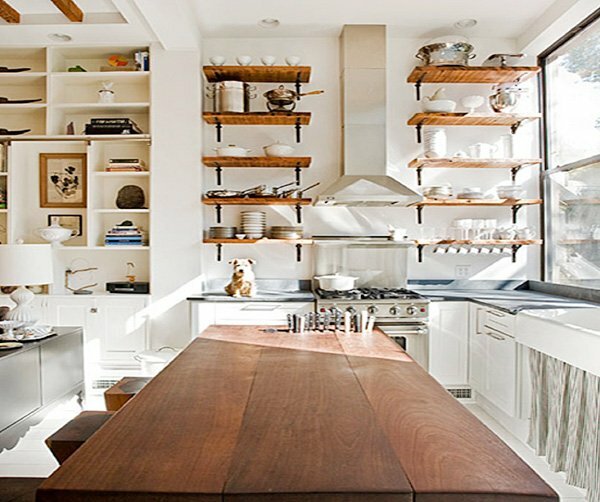 Aiming at creating a modern and unusually beautiful space, open kitchen shelving is one of these new trends that amaze more and more people. 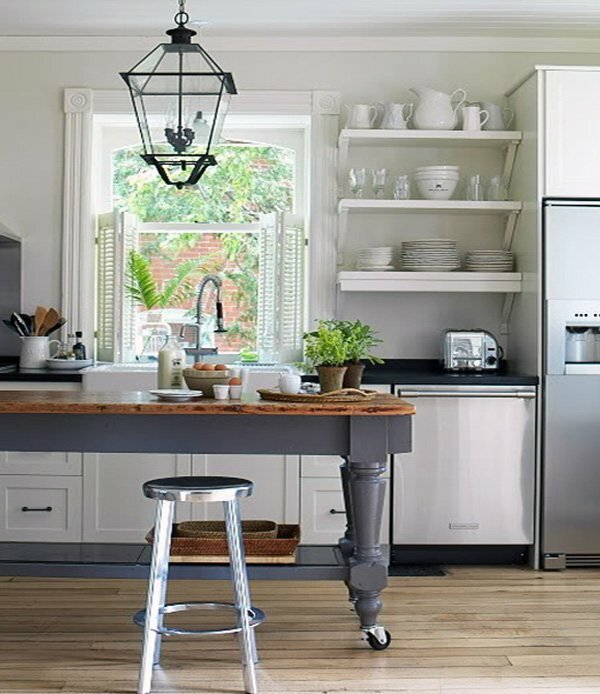 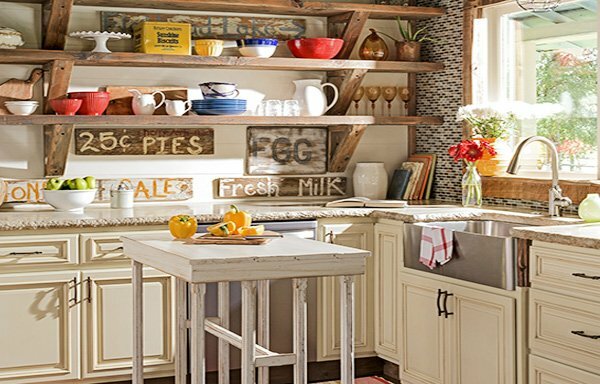 This trendy idea definitely brings a whole new look to the kitchen by setting a modern (or vintage, depending on your overall style) atmosphere. 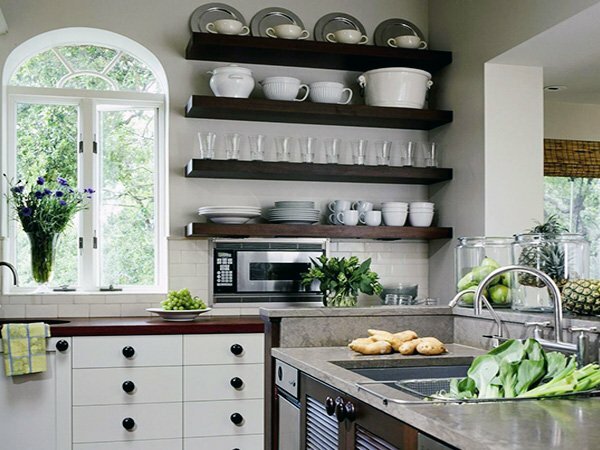 Without a doubt, open shelving makes your kitchen look spacious and chic, so you might want to try it if you have a small kitchen instead of using big cabinets. 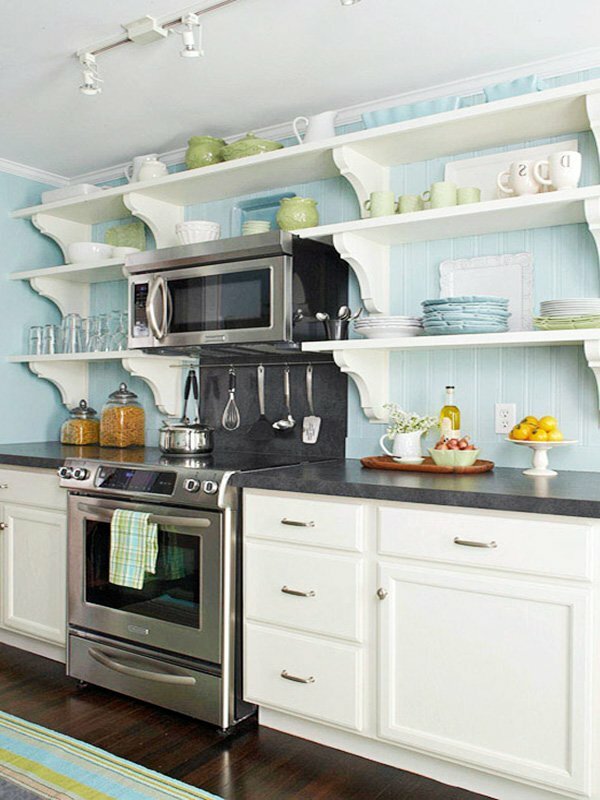 In addition to bringing a different style to your kitchen, open shelves also add functionality. 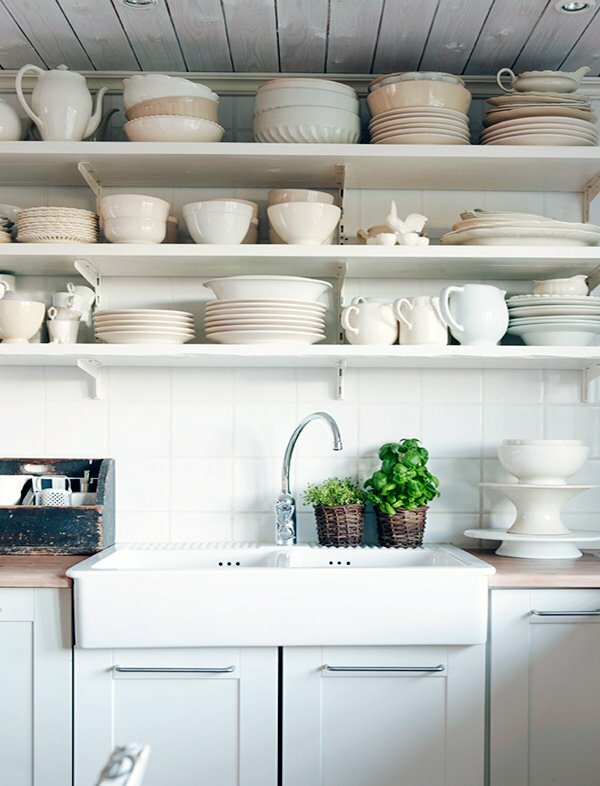 Remember though, you will be showcasing your whole tableware and accessories, so you need to be careful with layout and placement. 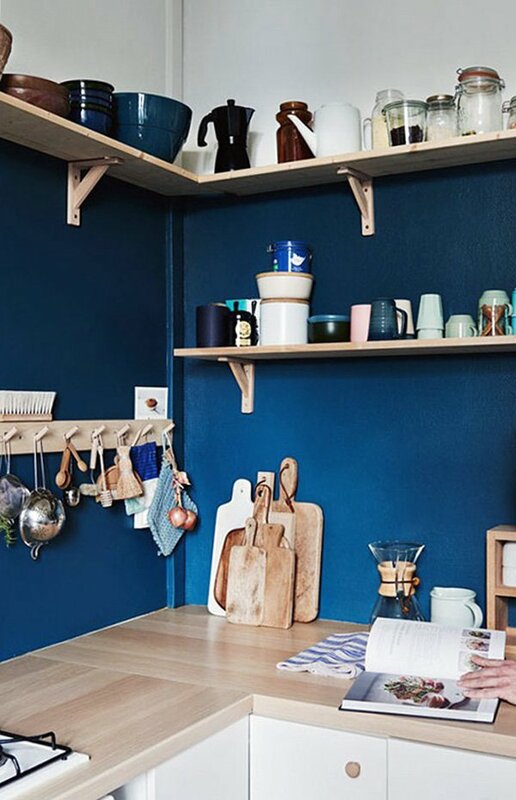 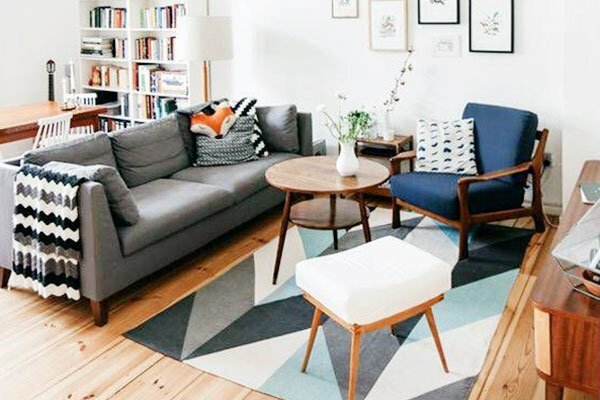 You should also consider the overall harmony, so pay attention to colors and shapes as well as the kind of material you’re going to use with your shelves. 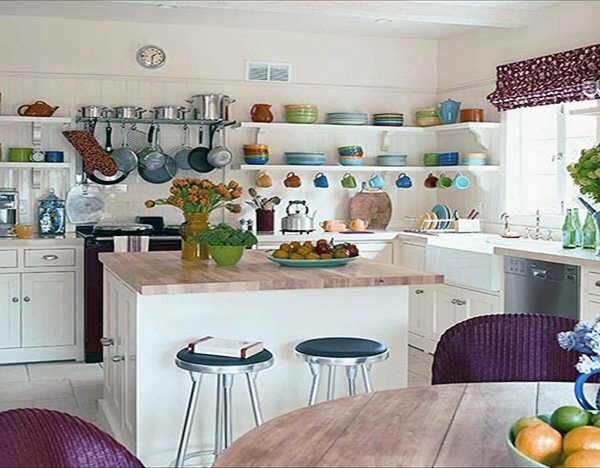 However, do not let this discourage you because arranging your tableware and accessories also gives you an extra window to be creative with your decoration. 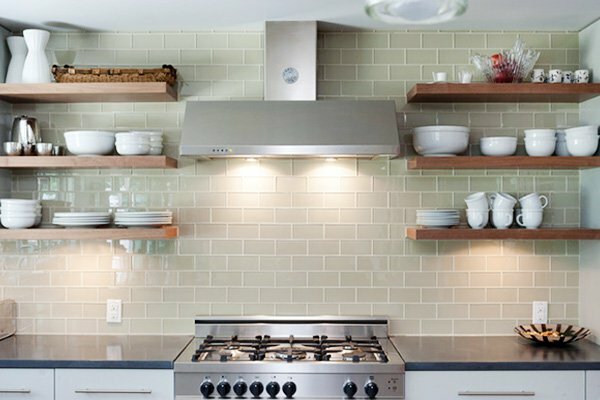 If you’re looking to create a stylish atmosphere and add some personality to your kitchen, open shelves are the way to go. 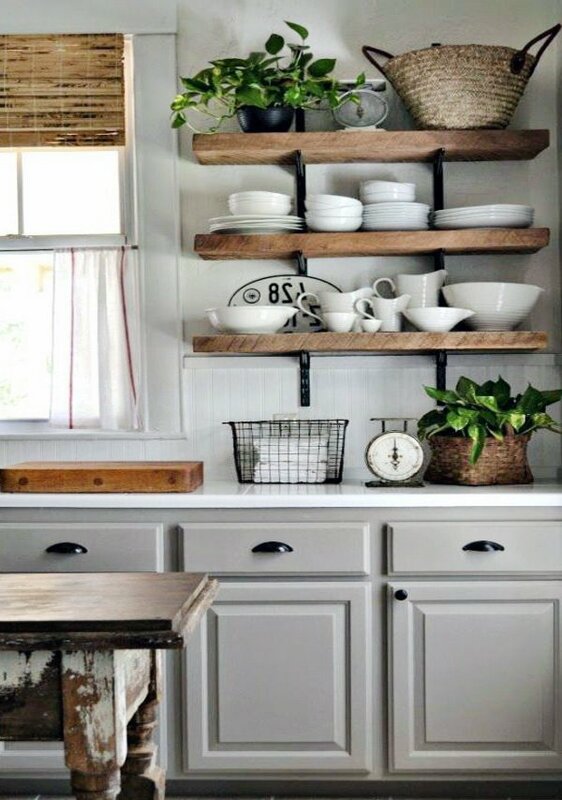 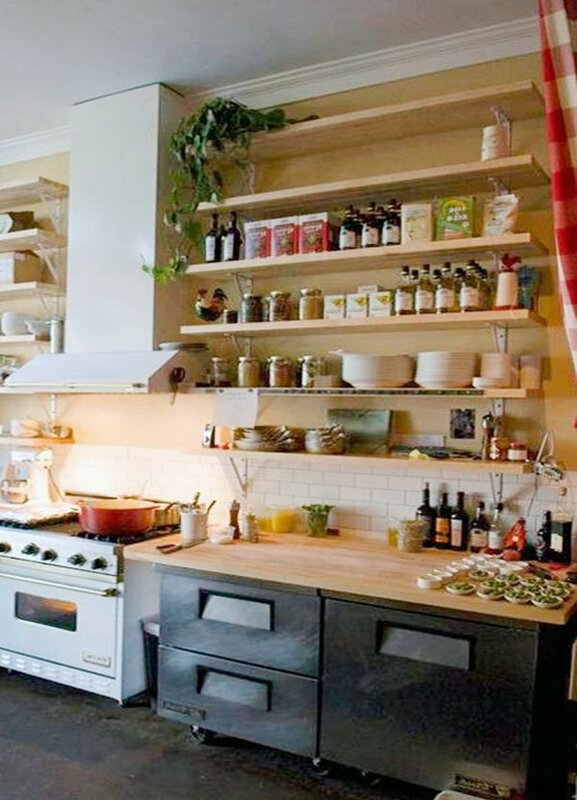 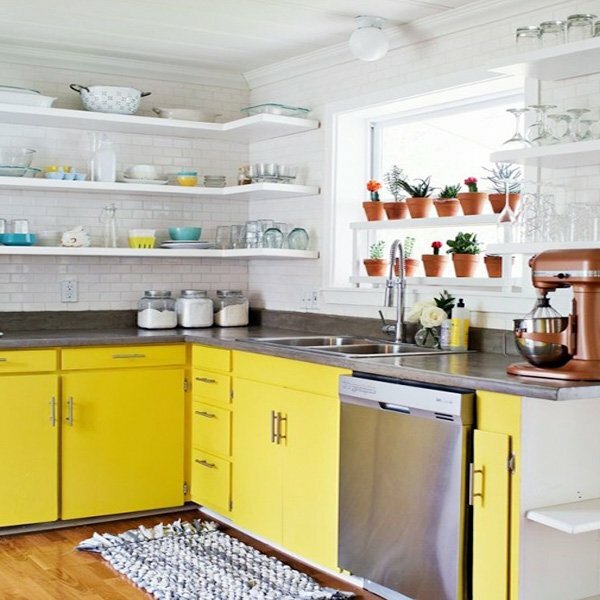 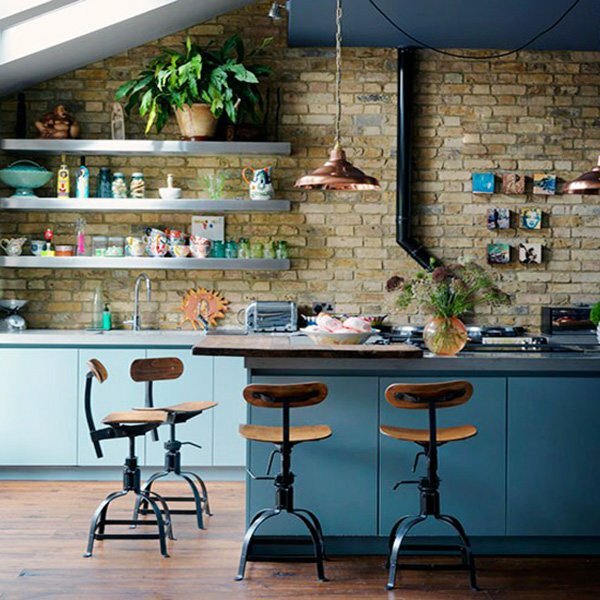 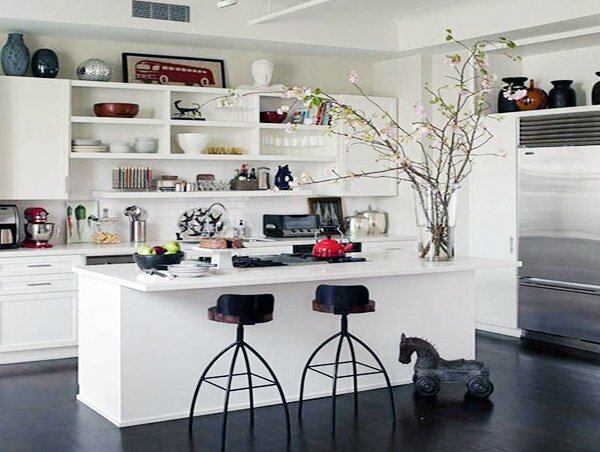 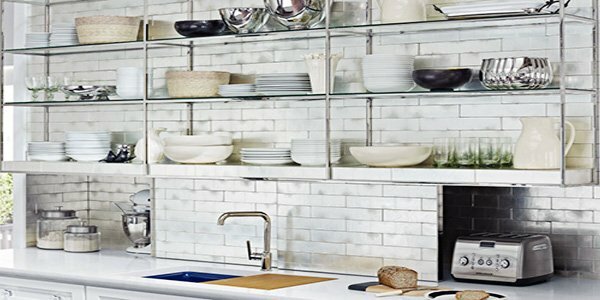 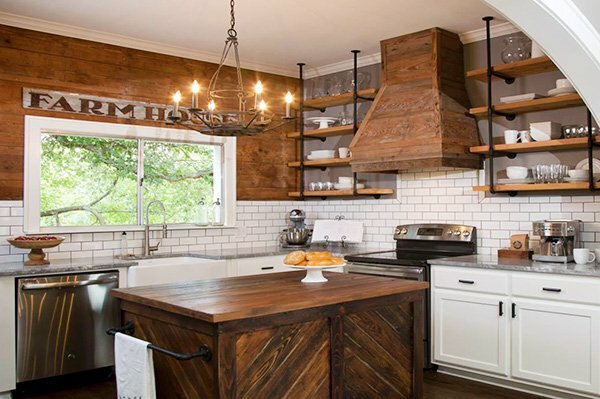 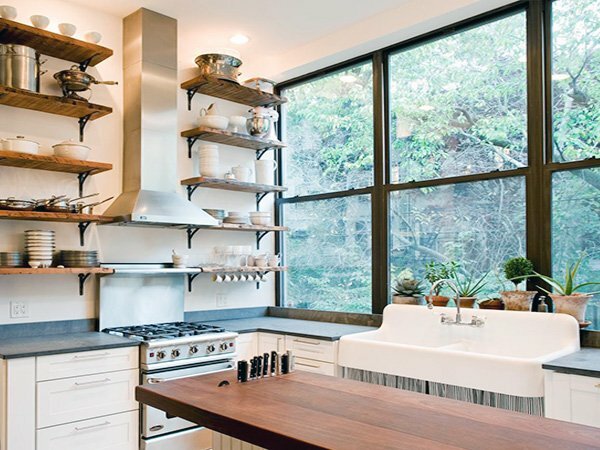 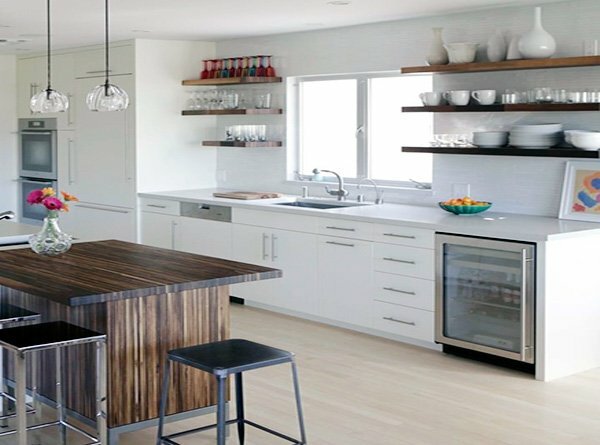 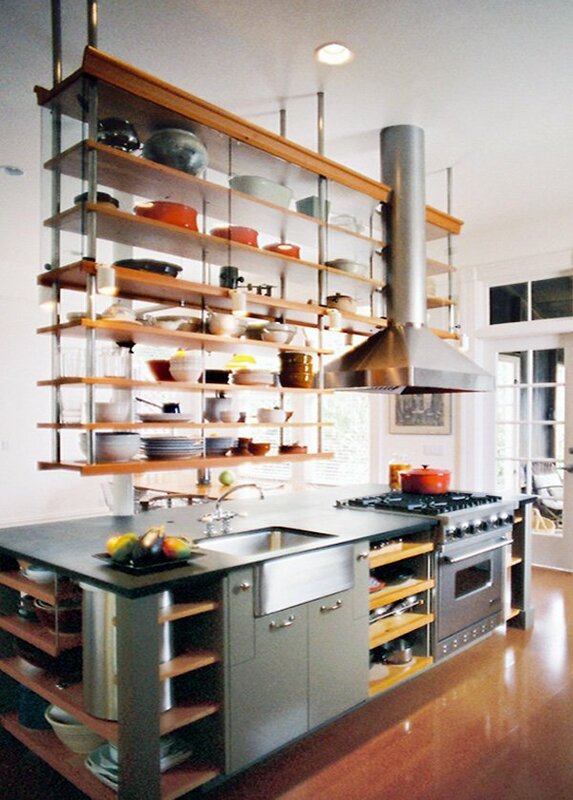 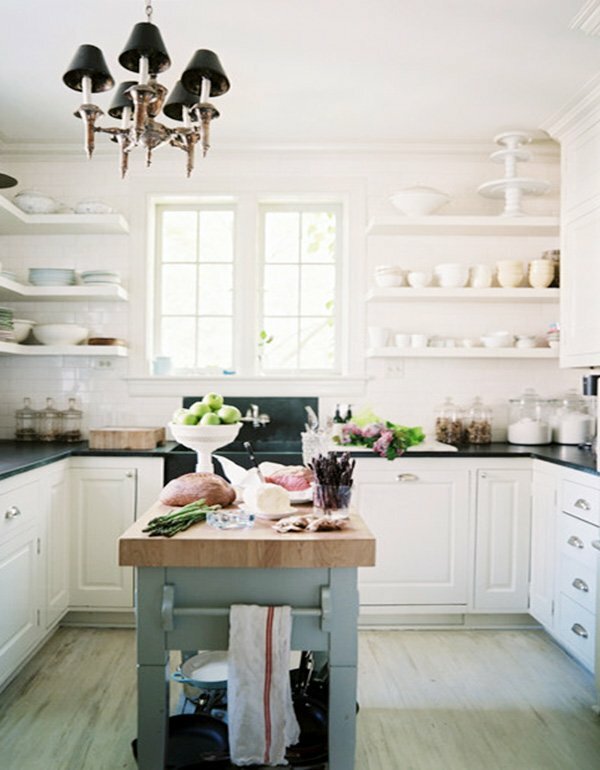 Check out these beautiful open kitchen shelving ideas before you make up your mind.